We were recently featured on NBC! Watch the video. Three-time Consecutive Winner for “Best of Loudoun” Award, Safe Deposit Box Storage. 2015 Loudoun County Service Business of the Year! Commonwealth Vault & Safe Deposit Co. offers private safe deposit boxes available for lease. All box sixes are available for lease to both individuals and businesses alike. Estates and Trusts are also accepted, and box owners have the option to list beneficiaries for their box account. We also offer additional custom-size boxes inside our vault, please ask us about them if you are interested. 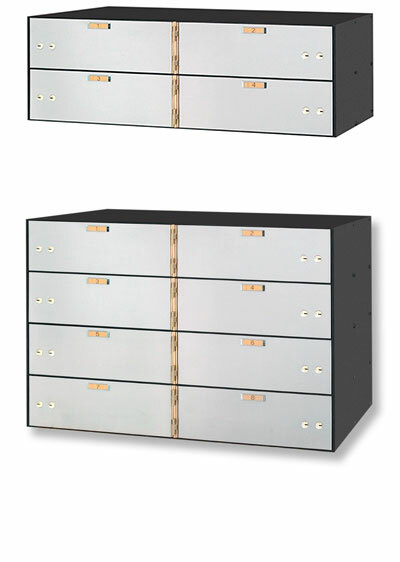 Listed below are the standard safe deposit box sizes we offer along with their prices. Please also see our custom storage options. * 3 month minimum charge on month to month service. ** One-time refundable $25 Key Deposit required at time of opening. All safe deposit boxes include a personal container (bond box) and two keys. All safe deposit boxes are 22" in length. UL rated, stainless steel, includes standard dual-entry locks. This is a unique size box offering, typically not available at most bank branch locations or storage facilities. Don't delay in securing your most valuable assets. Reserve a box today. Copyright © 2014 Commonwealth Vault & Safe Deposit Co.